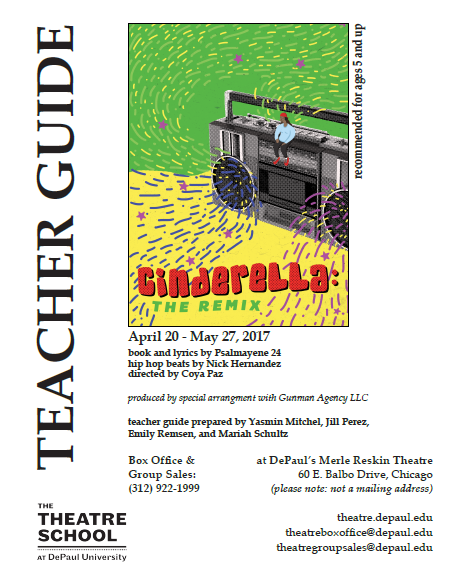 As my thesis production, I dramaturged Cinderella: The Remix (Psalmayene 24) under the direction of Coya Paz at The Theatre School at DePaul University (Spring 2016). 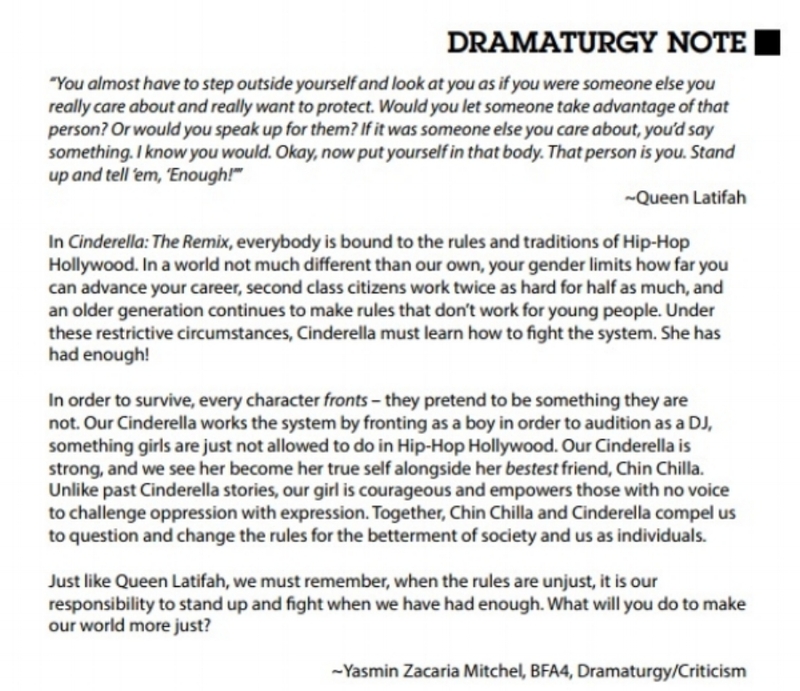 As a feminist, hip-hop inspired, retelling of a fairytale, we endeavored to match the level of playfulness with accessibility. This was also the first DePaul Children's show to include sensory friendly accommodations, in addition to ASL interpretation and Audio-descriptions.